Holiday parties are a great way to recognize and celebrate your staff's success and accomplishments, nurture coworker relationships, and cap the year off at the end of the year. But, over time, holiday parties can sometimes feel more like an obligation than anything else, so it's important to keep them fresh, entertaining, and enjoyable. Here are seven creative office holiday party ideas. 1. Consider a new type of event. While most companies have luncheon holiday parties, evening parties are also somewhat common. From time to time, it may be worthwhile to change the timing of your holiday party for a different type of event. 2. Theme the party differently every year. Choose a different theme for your holiday party each year either related to the holidays (i.e. The Polar Express, Santa's Workshop, White Christmas, etc.) or unrelated, and consider keeping the theme a surprise so employees are kept in anticipation. Bring your theme to life with fitting invitations, decorations, entertainment, table names/tablescapes, and favors. 3. Change your caterer or venue. Consider a different menu or location to host your party. 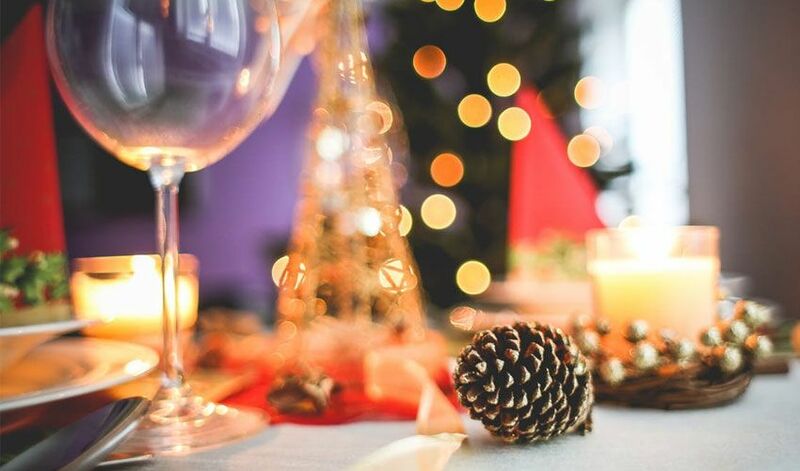 Changing catering providers, food selections, restaurants, and other venues also are great ways to keep your holiday party fresh and interesting. Though entertainment is not a widespread practice for holiday parties, some organizations incorporate it, which can help make the party a lot more enjoyable and engaging. It's even better when the entertainment is different every year. Some affordable entertainment you may consider could be local DJs, circus acts, magicians, comedians, musicians, choirs/musical groups, or motivational speakers. There's plenty of great talent to access in the community. A raffle is fairly common at company holiday parties. Consider reinventing yours this year. Ditch the logo items and gift cards and add creative new prizes (spa gifts, travel packages to local destinations, gift certificates for wine tasting at a local vineyard, admission tickets to local amusement parks or zoos, shopping sprees, etc.). Or, transform the raffle into a silent auction to benefit charity. 6. Give unique favors and gifts. Give something small and unique to your employees as a favor such as customized candies, photo frames, ornaments, candle sets, baked goods, coffee, or others. Favors don't have to be expensive, but they should be creative if you want to "wow" your staff. Likewise, holiday parties are an ideal time to give each employee a holiday gift. The majority of organizations give employees gifts, and although gift cards and cash tend to be the most common, consider personalized and more creative gifts for your employees. These tend to be more thoughtful and memorable. 7. Recognize your staff in a fun way. Put together an engaging video to recognize your employees or entire staff. Provide creative public rewards for exceptional accomplishments, beyond traditional cash. Reward a few employees for being the best at something during that year or honor some for being superstars. And, don't forget to have fun recognizing employees. Also, realize that the same formal annual awards presented during holiday parties can grow old over time. Certainly, they have their place, but from time to time consider changing these awards or make them different every year. In addition, try to ensure that recipients of the awards vary from year to year. Company holiday parties come in all shapes and sizes. Be creative and unique, and use these tips to make yours memorable, fun, and enjoyable for your employees this year.